Using the 2011 China Household Finance Survey (CHFS) database, we explore the heterogeneous impacts of social networks on informal financial inclusion for Chinese urban and rural households. We find that social networks significantly increase the probability of households’ participation in the informal financial market, augment the size of informal financial transaction, and raise the ratio of informal lending over the total household assets. We also identify the mechanisms through which the social networks affect households’ participation in the informal financial market. By reducing information cost, perceived risk and precautionary saving, social networks play a larger role for urban households than rural households. Notably, the effects of social networks on informal finance are strengthened with the development of formal financial market. We are grateful to the editor and two anonymous reviewers for their invaluable comments and suggestions. We also acknowledge the comments provided by participants in the 5th seminar on Asia and Pacific Economies, the two-day paper development workshop held in Xi’an Jiaotong University. Dr. Shijun Chai thanks the financial support from Henan Province Philosophy and Social Science General Project with grant number 2017BJJ054, Henan Province government decision-making research tendering project 2017B274, and the Nanhu Scholars Award Scheme Youth Project (XYSY18076) funded by Xinyang Normal University. Dr. Dezhu Ye acknowledges the financial support from Chinese Ministry of Education Liberal Arts and Social Sciences Foundation (Project No. 13YJA790139), and National Science Foundation of China (Project No. 71473102). Ali, S. N., & Miller, D. A. 2013. Enforcing cooperation in networked societies. Unpublished paper available at: https://pdfs.semanticscholar.org/eb70/b23ea4f120e4eb546f440de38faeb8e523cc.pdf. Allen, F., Qian, M., & Xie, J. 2014. Understanding informal financing. 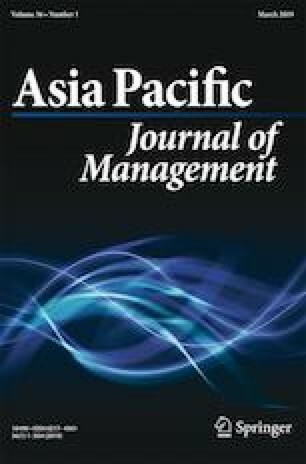 Unpublished paper available at: http://research.economics.unsw.edu.au/wee/papers/understanding%20informal%20financing%20Meijun%20Qian.pdf. Giulietti, C., Wahba, J., & Zenou, Y. 2014. Strong versus weak ties in migration. IZA Discussion paper series. No. 8089. Available at SSRN: https://ssrn.com/abstract=2424188. Yaldiz, E., Altunbas, Y., & Bazzana, F. 2011. Determinants of informal credit use: A cross country study. Midwest Finance Association 2012 Annual Meetings Paper. Available at SSRN: https://ssrn.com/abstract=1928812.